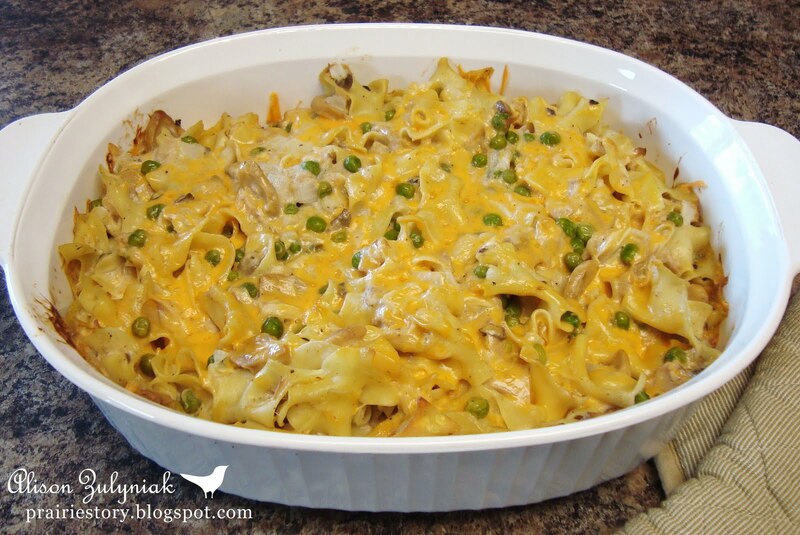 My family seems to all of a sudden love tuna when it is in this casserole! - Combine rest of ingredients in large bowl, save 1/2 cup grated cheese for top. - Mix in noodles and place in large casserole. - Top with the remaining 1/2 cup grated cheese. - Bake 350° for 30 minutes. Yum! A classic that never gets old! I like to add artichoke hearts to mine. Oh I love Tuna Noodle Casserole! My mom always used Cream of Mushroom soup in it, too. I could eat this ALL day long... I love it! Such a cute blog. I love this idea, but I must admit that I dont write down my recipes like I should! I found you Friend Friday, Via The Girl Creative. This sounds really great--there's nothing like a nice, comforting casserole.